Jo Thompson's takeaway shop in Raglan has a special visitor each year. I live in Raglan, New Zealand. I own a takeaways down Marine Parade, on Te Kopua Domain. 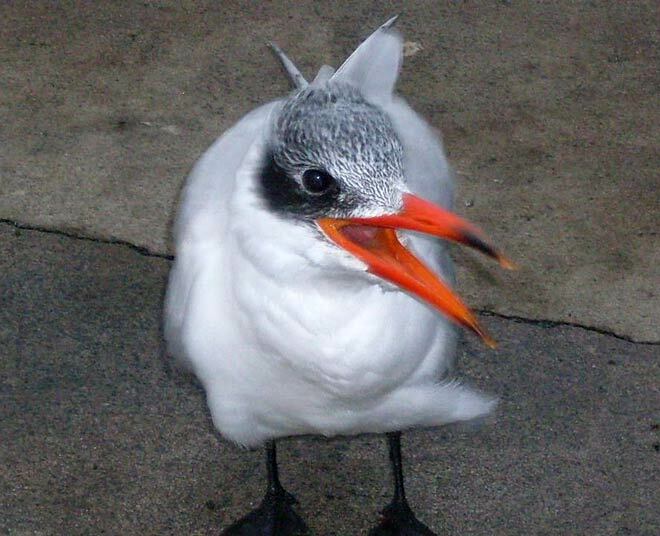 For the last four years I have had a Caspian tern who visits when it is stormy or when winter is approaching. We have named him Arthur and when we call him he will waddle over. He has never had a mate with him over the years – we do see odd couples of Caspian terns at times. He is very partial to being fed fresh fish. This year he is here in April which is very early – it’s normally around June, July and August. I think he may be a non-breeder as every time he comes he has a speckled head. We look forward every year for Arthur to visit ... it’s nice to think he recognises our voices, and obviously we’re a place to get an easy meal.